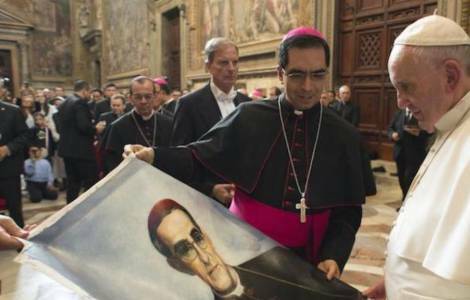 San Salvador (Agenzia Fides) - The Archbishop of San Salvador, Mgr. José Luis Escobar Alas, yesterday expressed his disagreement regarding the current draft law on national reconciliation and asked the deputies to reject it, as it favors impunity. "We join this cry by expressing our disagreement and great concern regarding such bill, because it would be an ineffective law, like the totally unfair 1993 amnesty law, which instead of protecting and compensating the victims, will make them victims again, and will go to protect the real perpetrators, favoring impunity", he said at a press conference after yesterday's mass. "We ask the deputies to reject this bill and to promulgate a law of reconciliation in the spirit of the sentence of the Constitutional Chamber of 13 July 2016, of true reconciliation, through the exercise of a justice that protects and provides reparation to the victims", added the Archbishop, according to the note sent to Fides. The Archbishop had already expressed himself on this subject a few days ago, on the anniversary of the assassination of Fr. Rutilio Grande (see Fides 14/3/2019), but on this occasion Archbishop Escobar Alas stressed that the Church is on the side of the victims and will always be in their favor. Regarding the latest disappearances, he asked the authorities not to leave these cases, which are increasingly numerous, unpunished. "Disappearances cannot go unpunished, the scourge of violence will not disappear until the rapid and agile access to justice is assured", said Mgr. Escobar Alas. In recent days, according to a note sent to Fides, an increase in the number of missing persons was reported, including Ana Nicole Herrera, a medical student who disappeared on Sunday 10 March.